Editorial: Squatting Or Free Loading? 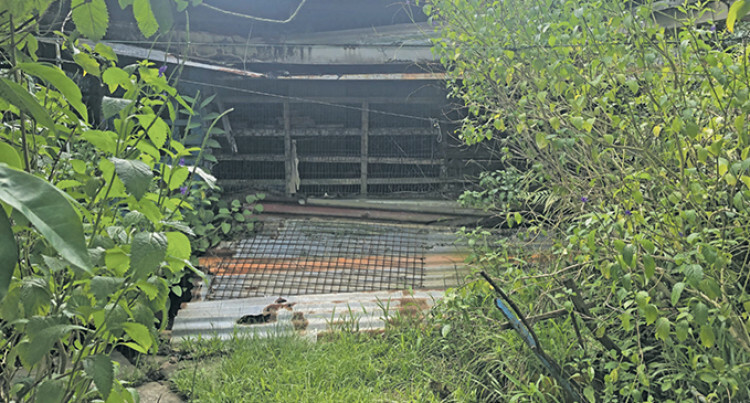 The Fiji Sun has found out that there are squatters who have extended their homes on the land, rented it out and people who have taken up the rented space do so hoping that when the squatters are given leases, they can also ride on it. This $15,000 house with furniture is being sold at Wailea Settlement in Vatuwaqa, Suva, on January 31, 2019. Photo: Simione Haranavanua. There is no doubt that there are some people who genuinely live their lives as squatters but as the Fiji Sun investigation has revealed there are many who are taking advantage of their illegal squatter status. We have also found out that people are selling off their homes in squatter settlements to others. This is of course done without any legal paperwork. Minister for Housing and Community Development Premila Kumar has a big task on her hand. She and her team need to filter out those who do not deserve Government’s assistance from those who really do. She revealed to the Fiji Sun that while these people are living in the informal settlements illegally, the level of in fighting between them has been delaying Government’s work in regularising those settlements. She shared with us the story of a teacher who resides in one of the squatter settlements. This lady went on to fence off a common driveway to stop others from using it. She wanted the Minister to intervene and stop people from using the driveway. She cannot do that. The teacher has no legal rights on the land in the first place. There have also been issues where the people in these settlements complain that the piece of land leased to them is smaller compared to what they were used to when living illegally in the settlements. This is outrageous. The Government is going out of its way to give leases to these people. Land is given to them free and they only have to continue with the payment of the annual land rent. Some do not even want to do that. They have gotten so used to living free on the land which is not theirs that they do not want to start paying the land rent. SODELPA Members of Parliament have stood in Parliament questioning the delays in regularising the squatter settlements. These are some of the reasons why there is a delay. Granted that not all living in those conditions are happy with it and appreciate the Government leg up given to them but unless everyone does their own bit too, we will be going around in circles. People who want to buy or rent out in squatter areas need to understand that they are opening themselves to the risk of living in houses built without any safety measures. They are endangering the lives of their family members as well. Residents in the Suva informal settlements are very lucky Tropical Cyclone Winston did not hit Suva. A large percentage of homes in the Suva squatter settlements would not have withstood the strength of Winston or any other tropical cyclone for that matter. While it is too easy to hold the Government accountable, let’s get real. People need to move out of this free handout mentality if they are financially able to lease their own land and build their own homes. By sticking it out in the squatter settlements, these people are cheating the system. They are cheating another Fijian who really needs Government assistance. They are cheating the taxpayers and the Government who would otherwise use their limited resources elsewhere, where it is really needed. Let’s take a long hard look at ourselves. After all, charity begins at home.